* What is link building and why is it important? John Eberhard, President of RealWebMarketing.net stated “There has been a marked increase in the interest in SEO over the last year, I think with good reason. SEO is a great way to significantly increase the traffic to a web site. But it is not a quick fix. You have to commit to a program and stay with it. But with programs we have been running for clients for a year or more, they have seen very significant gains." 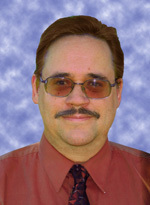 John Eberhard has been involved in marketing for a wide variety of businesses for 23 years. Real Web Marketing Inc. was founded in 1999 in the Los Angeles area, and has clients all over the U.S, in a wide variety of fields such as health care, consulting, construction, personnel recruitment, court reporting, drug rehabilitation, publishing, software, jewelry manufacturing and online sales, residential and commercial real estate, dance instruction, tax consulting, plumbing, dentistry, pool remodeling, and many others. The services offered by RealWebMarketing.net include pay-per-click advertising campaign management, web design and blog design, search engine optimization, link building, article syndication, optimized press releases, RSS feeds, and video production.